There are many stake cuts around and each cost differently. If you are thinking of getting a steak dinner tonight, it pays to know how much each kind of steak may cost. It would help you a great deal if you have an idea how much your steak dinner would cost or to consider if it is cheaper to have the steak at home. Here are the top steaks that you can have and the average prices of each. Tenderloin can be quite expensive. It is often sold either peeled or unpeeled. The kind of tenderloin depends on how much fat that often surrounds the meat has been taken off. Peeled tenderloin commands a higher price and you may be paying around $8 per pound. There are wholesale club that have generally lower prices for tenderloin. Expensive meat shops or food boutiques can charge as high as $25. Whole beef tenderloin can cost around $7 to $50 per pound. Rib-eye is a rib stake that consists of the longissimus muscle and the cap or otherwise known as the spinalis. The rib-eye comes from the primal rib that is used to make the prime rib usually done in oven-roasted American cuts of beef. The usual cost of a rib-eye steak is around $9 per pound. You can get some on sale as low as $4 per pound. A normal price of a high-end cut can range from $8 to $12 per pound. In a restaurant the rib-eye can cost around $22 to $30. One of the leanest and most tender cuts of beef which often comes out the tenderloin is the fillet mignon. This fillet contains less marbling which means less fat. 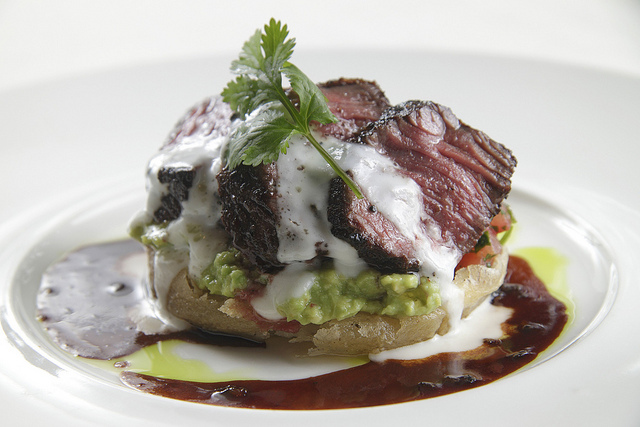 The steak is perfect for special gatherings and events or an occasion for a romantic date. The steak takes in marinade well. You can buy a fillet mignon ranging from $20 to $30 per pound. This is one of the muscles of the beef that is typically overworked. The sirloin is bursting with great flavors. It is less tender but more tasty. It is perfect for cookouts and large occasions. It is best to grill the sirloin. You can get some sirloin starting at $16 per pound. But you can get it on sale from $5 to $7 per pound. Porterhouse is one of the most sought after beef cuts. The porterhouse has this flavor that one can’t get enough. It goes for $9.99 to as much as $24 per pound in some stores. Now, while some of the prices look high up there, keep in mind that many grocery stores often throw their steaks on sale. If this is the case, don’t be afraid to stock up! Steaks can freeze well for months. Whatever steak you will have on your table, you will be sure that you will get the best proteins and nutrients. Just don’t have too much or risk getting too much cholesterol. Bon appetit! Jessica Norman works for the website howmuchisit.org. Whether you want to know what some food costs or what a professional service may be, you can find well over 3,000 guides on her website.